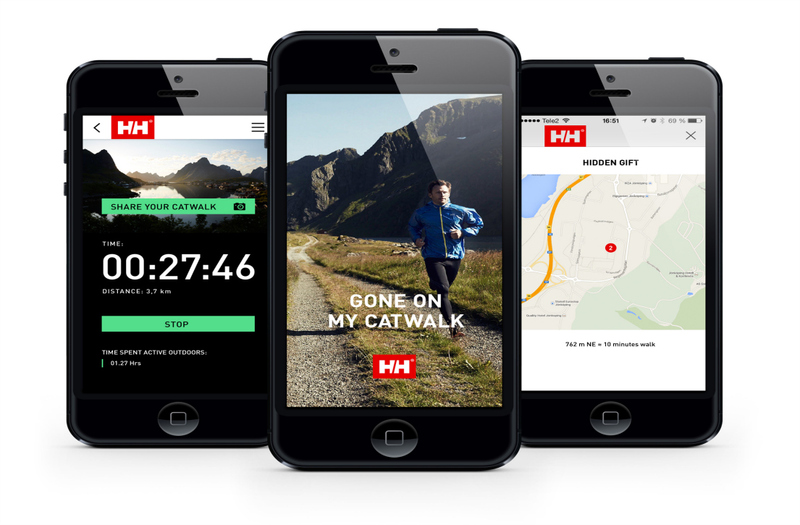 Helly Hansen’s new app, Gone On My Catwalk, rewards users for spending more time on their own catwalks — from winding coastlines to hiking trails to polar dips in glacial lakes — and less time on their computers. Photo by Cassándra Gierden. 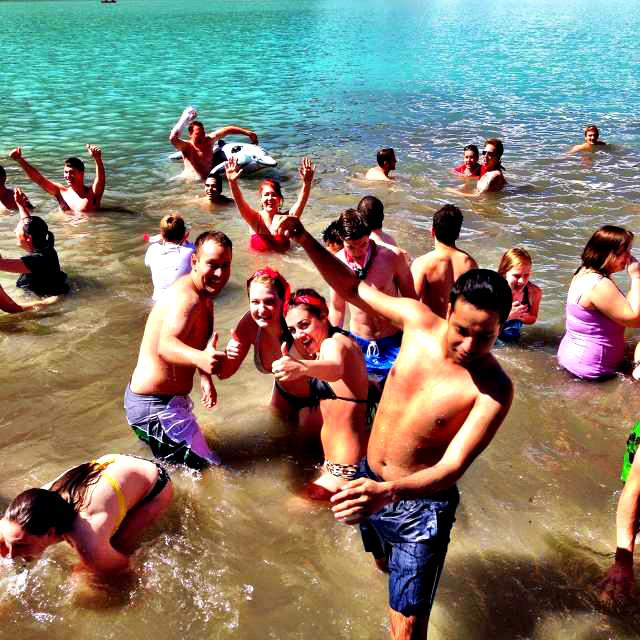 Polar Bear Dip Lake Louise, Alberta, Canada Day, July 1 2014. The app documents how much time you spend outdoors and then rewards you with geocached prizes and other incentives. 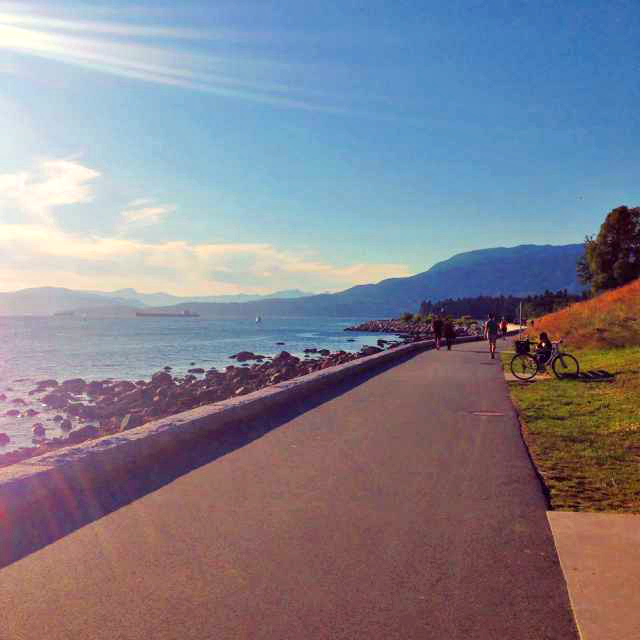 “The Gone On My Catwalk app provides an additional incentive to simply get outside. It’s also a tool to encourage consumers to share their positive outdoor experiences via photos with a larger audience,” says Erik Burbank, vice president of global marketing for Helly Hansen. Each week, a Helly Hansen jury will review users’ catwalk photographs and award the best photograph with a prize. Other awards include geocached prizes hidden in varied regions and terrains in North America, the UK, Scandinavia, and continental Europe, as well as an award for reaching 20 hours outside. In Canada so far, prizes are cached along trails in Calgary, Kicking Horse, and Fernie. After users tally 20 hours, the progress bar will continue to document time spent outside and send encouraging messages at pre-set distances for the “document your catwalk” competition. The app is available at both the Apple iTunes and Android Play stores.